Choosing pretax or after-tax insurance affects either your taxable income or your medical deductions. 3. Are Premiums for Health Insurance Paid With Pre-Tax Dollars? The main difference between pretax and after-tax medical payments is the treatment of the money used to purchase your coverage. Pretax payments yield greater tax savings, but after-tax payments present more opportunities for deductions when you file your tax return. However, depending on your health and need for medical services, you might be able to get the best of both worlds. Many employers offer group insurance plans to employees at reduced rates. The premiums are lower because the pool of insurers is higher and that spreads the overall risk across the entire group. Less risk means lower premium payment for everyone. The majority of these plans are set-up as pretax deductions. If you elect coverage under your employer’s plan, your premium is deducted from your gross pay before tax is calculated on your earnings. This reduces your gross taxable wages and the tax withheld from your pay, which also means the less tax you actually owe. Opposite of pretax insurance payments, the money left in your paycheck after taxes are deducted (i.e. your net pay) is the amount available for after-tax insurance. Some employers offer supplemental insurance plans, add-on plans for your medical insurance, that you can purchase with after-tax dollars. Examples of these types of plans include accident insurance and hospitalization insurance. You can also purchase your own insurance using your take-home pay instead of participating in group plans offered by your employer. Out-of pocket payments you make to your insurance company are generally after-tax expenses, unless you use funds from a Health Savings Account that counts as a pre-tax contribution. Out-of-pocket expenses include co-payments, prescription costs and co-insurance amounts. Some plans require you to pay for all or a percentage of your services up front before full coverage is available. The costs you incur are applied against your insurance deductible. These payments are also categorized as out-of-pocket expenses. The IRS allows taxpayers who itemize deductions to claim certain medical expenses. Deductible costs include those paid with after-tax dollars only. You can’t deduct any portion of pretax investments such as medical insurance payments or HSA contributions your employer deposits on your behalf. You also can’t deduct medical expenses you pay with HSA dollars because you already receive the benefit of not paying tax on the money used to fund the HSA account. In order for medical costs you incur to qualify for a federal insurance deduction, the costs must be IRS-approved. 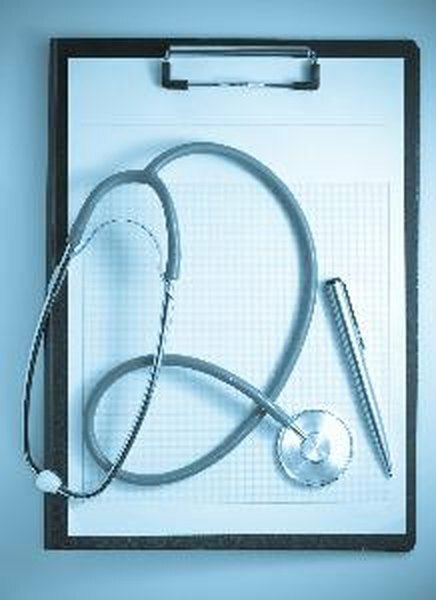 Examples of eligible deductions for professional medical fees include payments to doctors, surgeons, dentists, chiropractors, psychiatrists and psychologists. Approved treatment costs include inpatient care for alcohol or drug abuse, and approved medication costs must be for prescribed medicine. You'll also be able to include other medical costs such as those for eyeglasses, contact lenses, hearing aids, dentures and wheelchairs. Can I Get Money Back on a Tax Return for What I Paid in Medical Insurance? Can I Choose Whether to Have My Health Insurance Deductions Pre-tax or Post-tax? What Are Pre-Tax and After-Tax Deductions?